Children will be delighted to learn about the work of famous artists, like Mary Cassatt and Vincent van Gogh, in this die-cut picture frame format. Each classic painting or sculpture is labeled with the title, the artist, and the year the painting was created--providing an early exposure to worldly works of art. 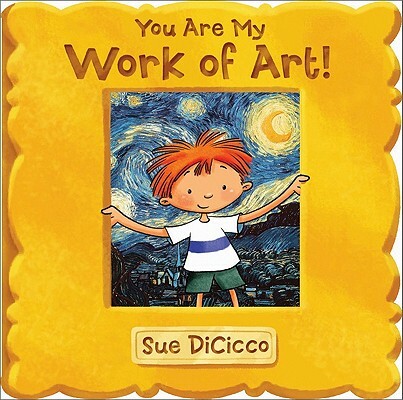 Sue DiCicco began her career with the Walt Disney Company, in production at Disney Feature animation. She has since established her own studio, developing toy and game ideas for major manufacturers and illustrating hundreds of children's books, including many Disney and Sesame Street novelty books. She lives in Santa Barbara, CA. Visit Sue at suedicicco.com.